Outdoor education centre BF Adventure has secured the support of a new corporate sponsor. BF Adventure approached Channel Computing to help the facility improve its online presence and expand its website. 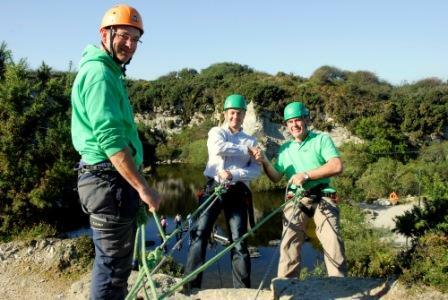 After staff from the Penryn-based web marketing firm had visited BF Adventure’s centre they were so impressed by what they saw that they offered to provide their services at a heavily discounted price. Technical director, Pete Graves, said: “Channel Computing is delighted to be entering into this sponsorship with BF Adventure. We’re honoured to be working with a local charity that does so much to help young, and often troubled people, back on to the tracks. BF Adventure is a registered charity that works with challenged young people in Cornwall, by providing them with inspirational and exciting opportunities. Channel computing will be using its digital marketing experience to help BF Adventure communicate its message and services on the web using social media, blogging and search engine optimisation.